This page of the Harry Price website will be used in conjunction with e-mail updates as a notice board keeping visitors up to date with happenings and events that relate to Price, his life and work in organised psychical research and his many important cases. To add relevant material to this page contact either Paul Adams or Eddie Brazil on the e-mail contact address on the Homepage of the site. After a period of several months of inactivity the Harry Price website is now back online. Personal circumstances resulted in the site being taken off the web and in the intervening period the old harryprice.co.uk domain has been registered by someone else. This site is now online at its new permanent domain www.harrypricewebsite.co.uk. A new book featuring paranormal locations in Bedfordshire and Hertfordshire, UK written by Borley ghost hunter Tony Broughall and Borley Rectory Companion co-author Paul Adams is due for publication on 26 April 2010 by new paranormal publishing house The Limbury Press. Click here for a press release. 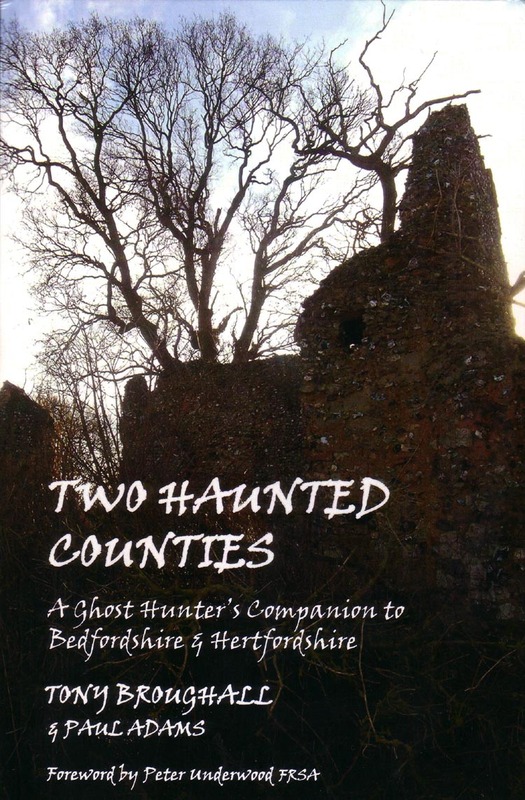 Two Haunted Counties: A Ghost Hunter's Companion to Bedfordshire & Hertfordshire can be bought through The Limbury Press website. The History Press have now advised that The Borley Rectory Companion will be officially released on 11 May 2009. The book is currently being printed and will come off the press the second week in April. Copies will start filtering through to distributors a week later and all booksellers who intend to stock it will have copies by 11 May. The forthcoming book on the Borley case by Paul Adams, Eddie Brazil & Peter Underwood is now featured on the publisher's website - click here for a link. The latest issue (No. 23, December 2008) of Zerdin Phenomenal, the journal of the organisation of the same name dedicated to the development and understanding of physical mediumship, contains articles on the mediumship of the famous Schneider brothers, Rudi and Willi. Harry Price investigated both these mediums in the late 1920s and early 1930s. Much of the article 'The Physical Medium of Rudi Schneider' is based on material presented by the late Anita Gregory in her The Strange Case of Rudi Schneider, and as such takes a hard line where Price is concerned, particularly the alleged 'exposure' of Rudi in 1933. The famous photograph (reproduced opposite) of Schneider apparently with one hand free from the control is reproduced in the article. Gregory and the present Zerdin author state that this photograph was faked by Price to incriminate Schneider as part of a smear campaign aimed at attacking the subsequent Schneider investigations of Lord Charles Hope and the SPR. Although Price did use the picture in a questionable way, an examination of the picture by Vernon Harrison, a former President of the Royal Photographic Society, found no evidence of tampering with the plate and it seems clear that the 'dematerialised' arm is simply the result of a double-exposure. Youtube clips of Borley Rectory-related material from two documentaries, The Ghost Hunters (1975) and Strange But True? (1994) have been added to the Modern Borley Section of the website - click here to view. 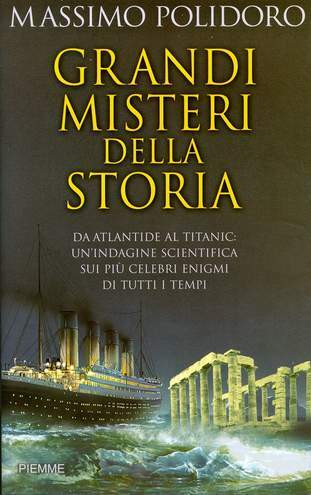 William Fisher has kindly allowed an original review of a Borley-related chapter in the 2002 book Grandi misteri della storia (Great Mysteries of History) by Massimo Polidoro to be added to the website. The full review can be found by clicking here. Rumours continue to persist of a Borley movie in the pipeline. The rights to Price's The Most Haunted House in England were purchased by Warner Brothers from the University of London in 2005, and a draft script is said to have been commissioned. The film industry grapevine has hinted at two further Borley projects which are said to be on the drawing board. Unfortunately it is believed both are currently stuck in 'development hell'. Given the nature, longevity and complexity of the Borley story it is easy to see why. Any film script attempting to do justice to the haunting of Borley Rectory would have to take liberties with the story, timeline and characters to fit it in to a coherent two hour movie. Nonetheless, if a Borley picture does hit our screens in the not to distant future it may well have screen heartthrob, Johnny Depp in the role of Harry Price. Depp is said to be a great Price fan and keen to play the maverick ghost hunter. His portrayal of Borley's chief investigator will undeniably bring a touch of “Hollywood glamour” to the 'most haunted house in England', and no doubt would meet with Harry Prices full approval. A link to the Harry Price Movietone News talking film on the Youtube website has been added to the website film page. Harry Price's 1931 investigation into the mediumship of Helen Duncan was briefly covered by actor and television historian Tony Robinson in a documentary film broadcast on Channel 4 in the UK on Monday 29 December. Tony Robinson and the Blitz Witch looked at Mrs Duncan's career as a prominent and controversial materialisation medium and covered several aspects of her life including the famous wartime 'witchcraft' trial. The programme included reasonably well-staged reconstructions of séances, plus interviews with commentators including Prof. Richard Wiseman of Hertfordshire University and Prof. Donald West of the SPR, as well as Helen Duncan's grand-daughter and, in what was probably the highlight of the film, one of the few surviving people who attended a Helen Duncan séance and who testified to seeing the face of her father in a mass of materialised ectoplasm. Robinson himself seemed to accept some aspects of Mrs Duncan's mediumship as genuine but accepted that she did cheat at times. 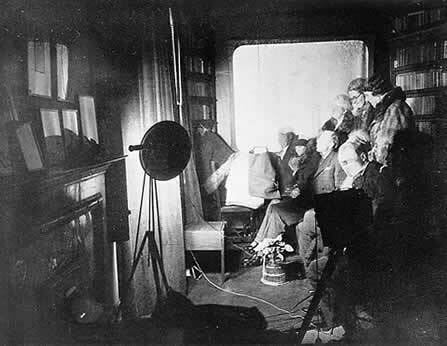 The Price content was limited to a brief description and display of his séance room photographs together with a typical pipe-smoking character actor reconstruction of the man himself. The eBay auction page, which ends on 30 December 2008, can be found by clicking here. Harryprice.co.uk has now been online for four years. The December 2008 issue of the International Paranormal Investigators organisation newsletter includes an article written by Paul Adams about Harry Price and his career in psychical research. The Newsletter is edited by Mark Smallman of the River Cities Paranormal Society. The 1500-word essay The Ghosts and Harry Price can be downloaded in pdf format by clicking here. The report into the future of the Senate House Library has now been received and details are available on the University of London website by clicking here. In readiness for the launch of The Borley Rectory Companion in April 2009, authors Paul Adams, Eddie Brazil and Peter Underwood were invited to give a lecture on their joint work on the project to the Society for Psychical Research at the Kensington Central Library in London on 11 December 2008. Peter Underwood gave a brief history of the Borley haunting and closed with a resume of the many people associated with the case that he has personally met over the past sixty years. In between, Paul Adams discussed the 1937-38 tenancy of the rectory by Harry Price and Eddie Brazil spoke on the haunting of Borley church as well as reports of continuing phenomena that he and Adams have collected at Borley over the past few years. Funding cuts at the Senate House Library at the University of London have put the Harry Price Library of Magical Literature under threat. In an article in the Camden New Journal, Elinor Zuke describes the problems faced by the Senate House which holds HP's collection of over 13,000 books and pamphlets as well as 20,000 letters. 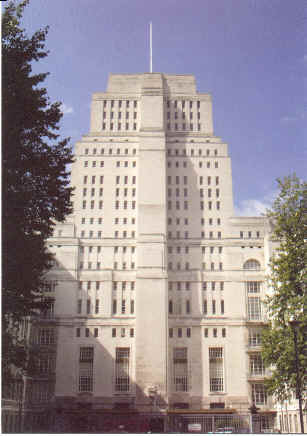 A review by the Higher Education Funding Council of England recently reduced funding by £1m and as the library currently looses £1m a year as it is, the University of London is currently reviewing the future of the Senate House Library. Options include splitting up the library's Special Collections to other establishments around London to free up rentable space or closing the Library completely. There is a possibility that the Harry Price Collection, probably the most important collection of its kind in the world, could be sold off and become unavailable to the general public, something that goes against the wishes of Price who bequeathed his papers to the University in 1936. The complete article can be read by clicking here. 'Why should a tiny hamlet on the Essex/Suffolk border become so famous and linked with tales of the supernatural? Why did the Rectory become so well known? Who was Harry Price the ghost hunter? Why did his fascination with Borley Rectory inspire him all through his life? This as a story is a journey through deceit, unconsummated marriage, infidelity illegitimacy and even murder. Experience the jealously of the four sisters who lived together in the Rectory determined to keep it all to themselves. Meet the eccentric Bull family and their fourteen children. Who was Marianne Foyster and why was her husband more than thirty years his senior? © Copyright 2004-2008 by Paul Adams & Eddie Brazil. All original text, photographs & graphics used throughout this website are © copyright 2004-2008 by Paul Adams & Eddie Brazil. All other material reproduced here is the copyright of the respective authors.